F@#k potato chip bags. 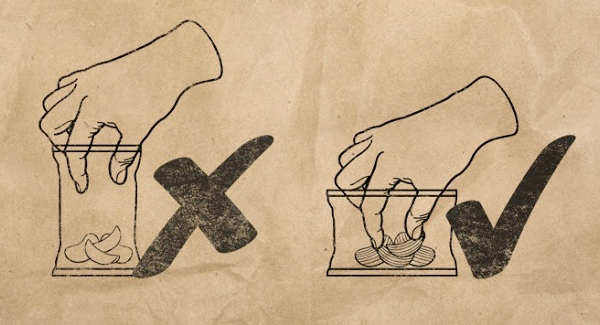 Big-handed or not, this is one statement we can probably all agree on. F@#k them for being half-air. F@#k them for tempting us at Subway. F@#k them for leaving grease all over our salty, sticky little hands. 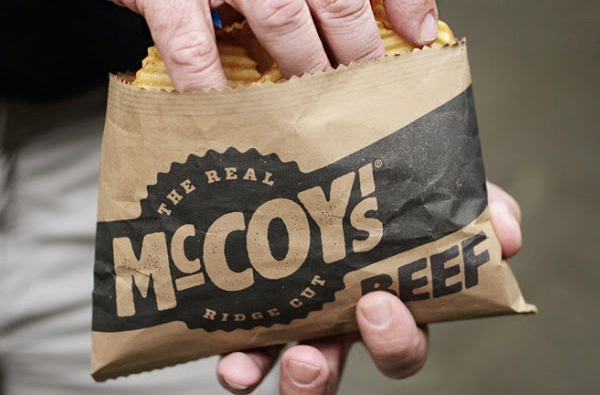 Previously, McCoy’s has been known for its particularly grill/beer/sports-related flavors such as beef, salt, and steak, explaining why they decided to bill this concept simply as “manlier” instead the once-in-a-life-time-holy-sh*t improvement that it is. Sure there’s still that blue-balled disappointment you’ll feel every time you tear open the bag seams to find significantly fewer chips than you were expecting -- like, push-up bra status – but at least you won’t have to feel gross while doing it.